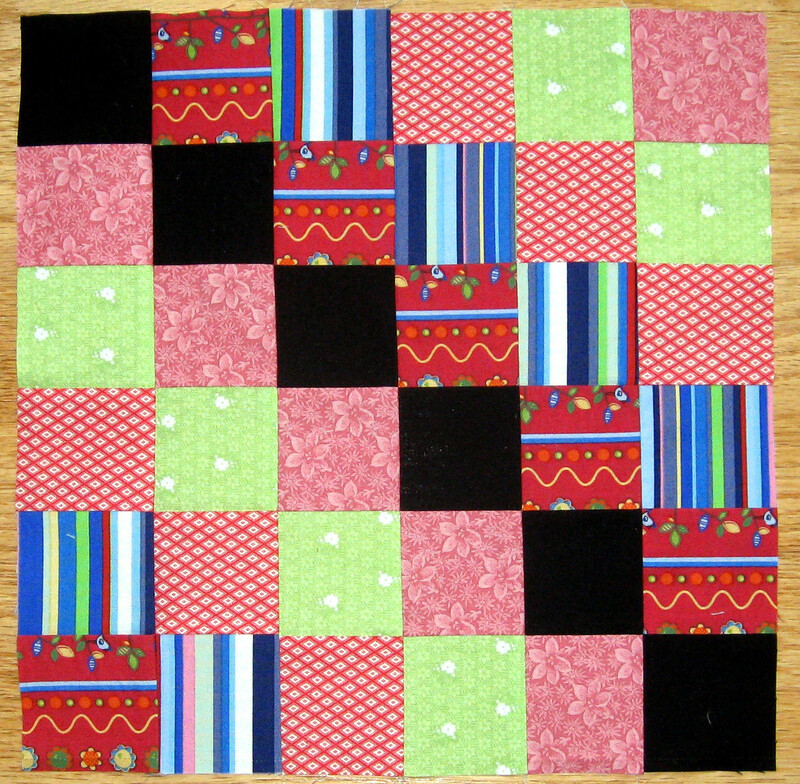 Here are my 2 scrappy trip blocks for November. 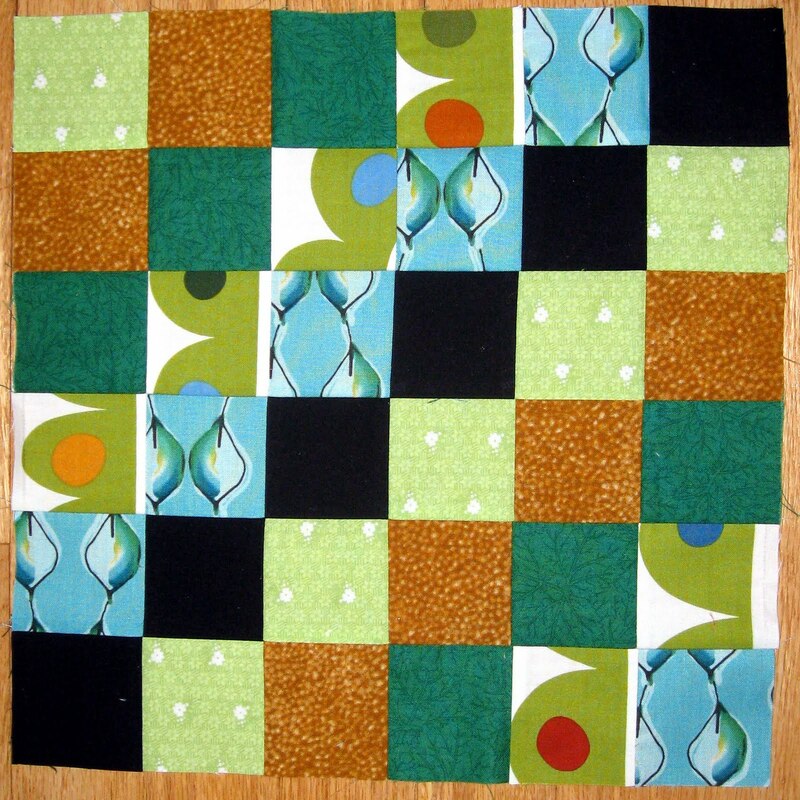 This is a great block, and I had fun making an entire quilt from this pattern awhile ago. I’m just recovering from 6 days without power, (I’m in CT), and I’m really glad to be warm again and using the computer at my home. I was able to mail blocks to Ellie and Sue last week, congrats to all the October winners and have fun creating with the blocks! Looking good, Wendy – I love the use of the large, bright, retro fabrics in these blocks. I'll add your two to the sidebar.